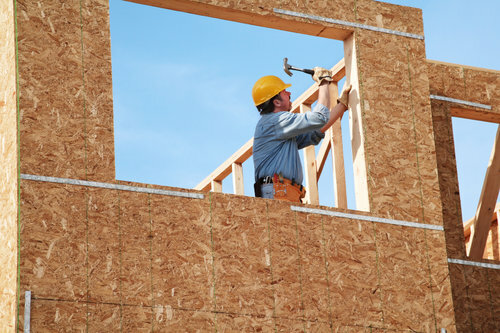 Homebuilders today are finding their business prospects increasingly pressured by higher costs for materials and skilled labor. Those costs — and financial strain — inevitably trickle down to real estate developers, homebuyers themselves and even the real estate agents making the final transaction happen. Like the rest of the real estate industry, home remodelers face these same challenges, though with a different set of clients and circumstances. Given their shared interests, according to Remodeling Magazine editor-in-chief Clayton DeKorne, it’s clear that home remodeling professionals could stand to learn from real estate brokers, the people who often end up selling clients on their finished work. Remodeling Magazine’s Cost vs. Value Report, updated each year, is one way to illustrate the interplay between science and art required of both professions. Both remodeling contractors and agents find themselves at odds with clients over what a home or project is worth in dollars versus how it may be valued by potential buyers. Both also must recognize that for all the numbers and statistics they could employ, these decisions are more often made on instinct anyway. That helps explain why time and again, Remodeling Magazine found the most valuable home renovations are those with a strong emotional component. The Cost vs. Value Report compares the average cost of common home renovations with the observed impact those projects have on the home’s resale value. For this reason, the perennial winners of Remodeling Magazine’s ROI rankings are not big-ticket kitchen overhauls, master suite additions or patio facelifts. For the second year in a row, garage door replacement ranked as the most valuable home remodel project in terms of ROI, one of the few tasks included in the report that could return almost 100 percent of its cost, on average, to homeowners in the form of higher resale value. Other top ROI projects in previous years have included front door replacement, installation of fiberglass attic insulation, or just a fresh coat of paint. Every year, according to Remodeling Magazine’s data, exterior projects that enhance curb appeal are among the top-ranked projects for the value-conscious. That’s why remodelers are adapting to cost pressure by learning from agents. Even in a job driven by facts and figures, remodelers are getting better at helping clients understand value from a functional perspective, not just with an eye toward resale.